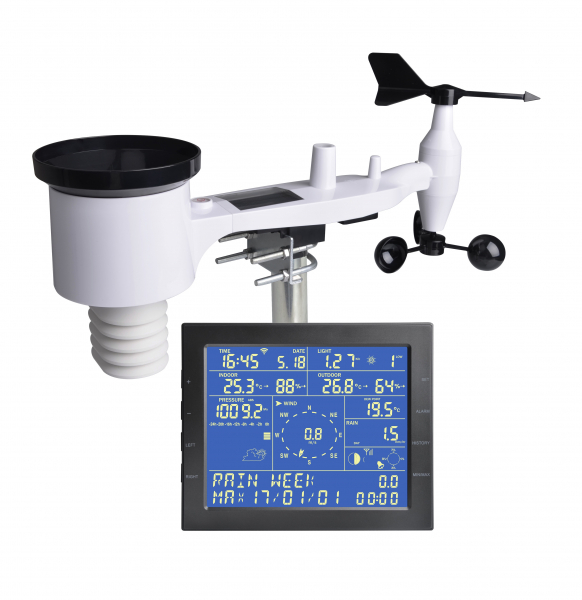 The ProWeatherStation is a high performance wireless data logging weather station with advanced sensor technology resulting in good accuracy at a low cost. 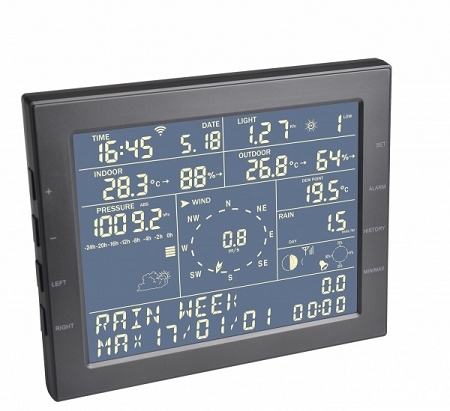 It provides instantaneous and historical data on Inside and Outside Temperature and Humidity, Wind Speed (average and gust), Wind Direction, Solar Intensity and UV Index, Barometric Pressure and Rainfall. 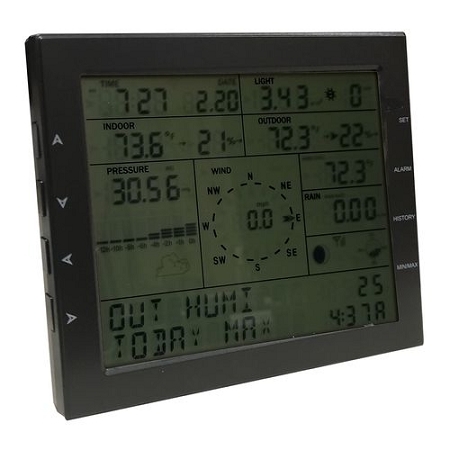 The backlit base station logs 4080 data points with adjustable sample interval. There is a memory meter on the display that shows when the memory is getting full so the data can be downloaded and archived to a computer thru WiFi and the included WeatherSmart WiFi software. 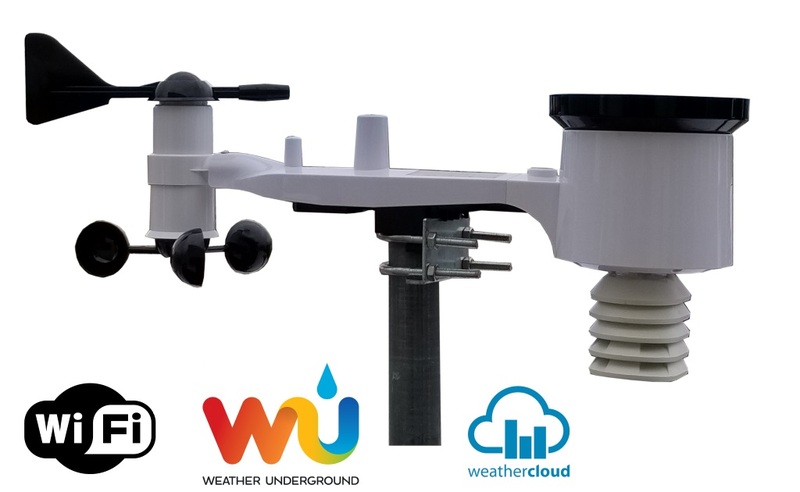 The base station also allows automatic upload of data to Weather Underground and Weather Cloud via WiFi with no PC necessary (Requires iPhone or Android device to program WiFi and upload features). 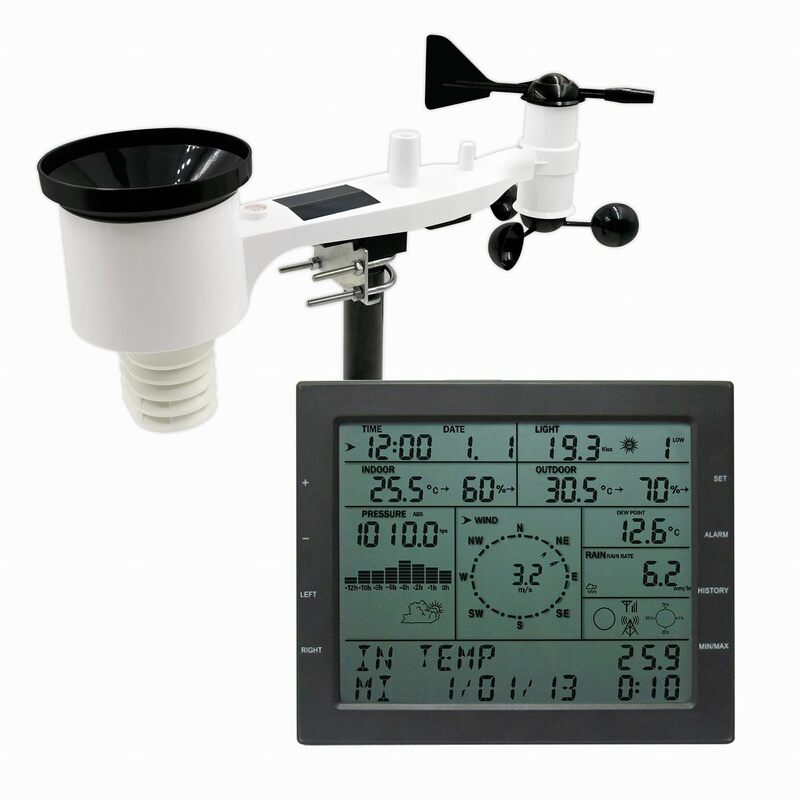 The ProWeatherStation comes with an advanced solar powered sensor array (anemometer, wind direction meter, temp/humidity sensor, rain gauge, solar/light sensor), Ubolt brackets for mounting to a 1"-2” pole (not included), WiFi enabled wireless base station/display, 5V AC/DC adapter, and WeatherSmart WiFi Windows software. Note: 3 AA alkaline or Lithium batteries for the base station backup power are not included.